The main reasons for converting to wood fuel are: price and security, climate change, benefits to the local economy and sustainability. The price and security of energy is becoming an increasing risk. Depleting resources in the North Sea mean the UK is ever more dependent on overseas production. With this dependency comes susceptibility to both price rises and restricted supply. The use of renewable energy from local resources can provide increased security and a more stable energy price. 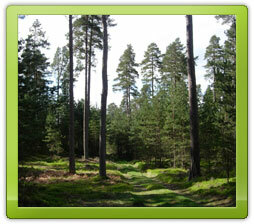 Wood fuel is considered a renewable energy resource. 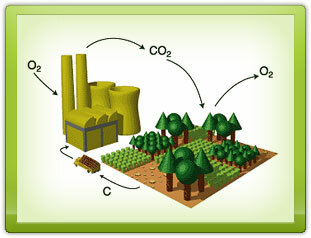 The carbon that trees remove from the atmosphere during their growth is nearly equivalent to what is emitted through respiration, decay and burning, as illustrated in the diagram. Over half of energy consumed in Scotland is used to produce heat. In 2002, 58% was used for heat. The use of renewables to produce even a fraction of this heat energy would play an important role in reducing carbon emissions and with it climate change. Local employment can be generated throughout the lifecycle of the wood fuel - from growing to production and use - keeping both employment and revenue within the region (it is estimated that up to 4 local jobs can be created per MW of wood fuel energy used). 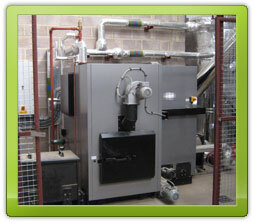 Biomass is an important part of the UK's renewable energy supply and has considerable untapped resource potential. 17% of Scotland's land area is covered by woodland, much of which could be managed to produce a truly sustainable source of fuel and energy. 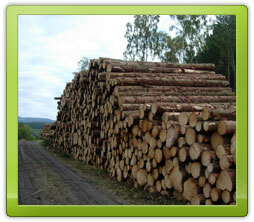 Around 26% of the available wood resources are currently unused and goes to waste. © Copyright 2014 NEWFuel Ltd.